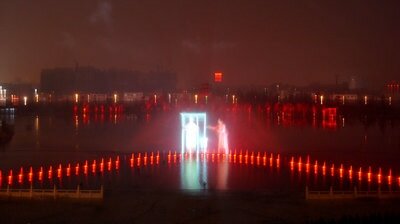 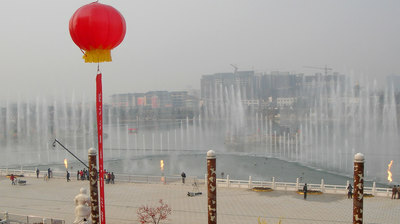 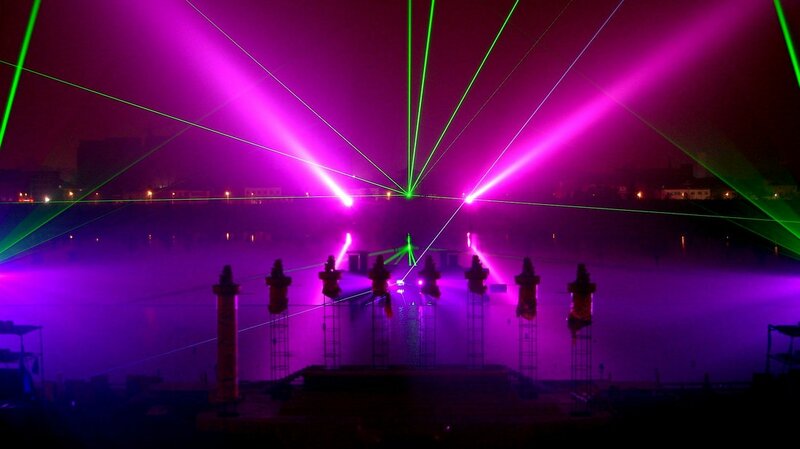 An impressive installation on the lake in Xi'an. These shows ran nightly (for approximately 2 years each) to audiences of tens of thousands. 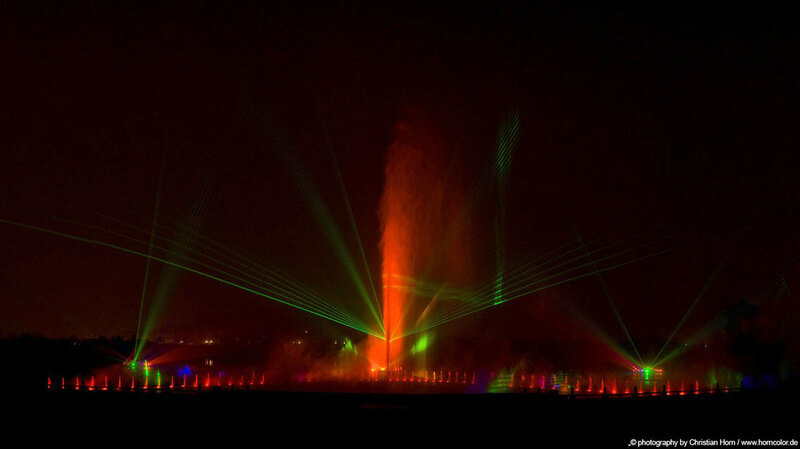 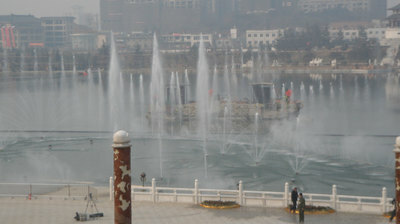 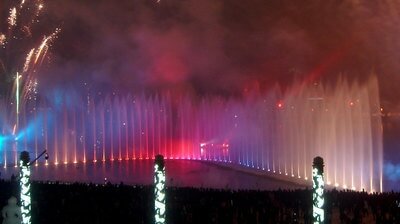 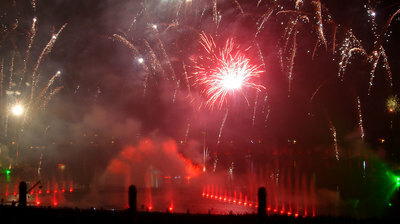 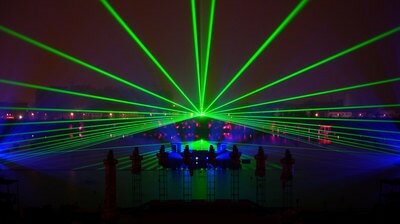 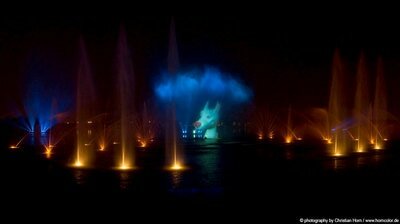 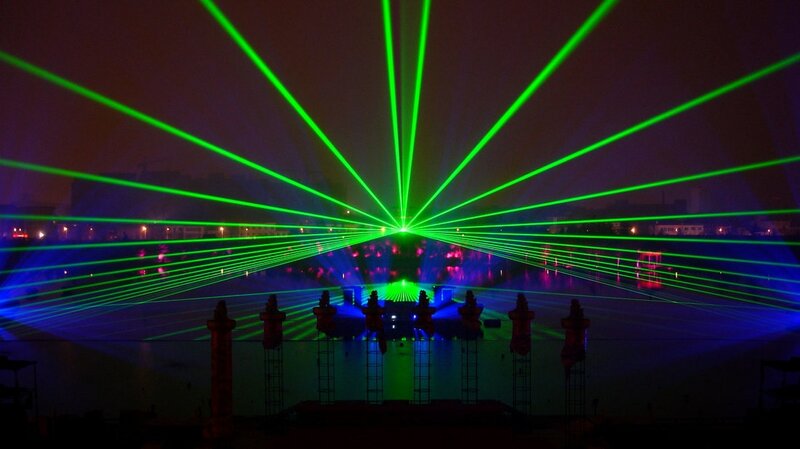 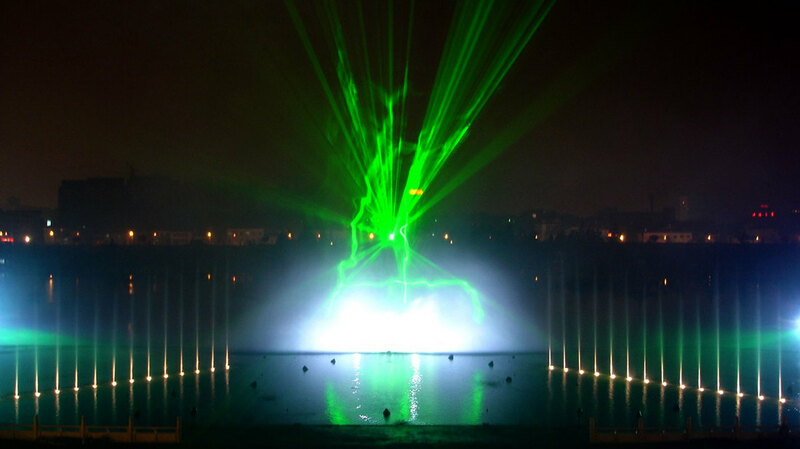 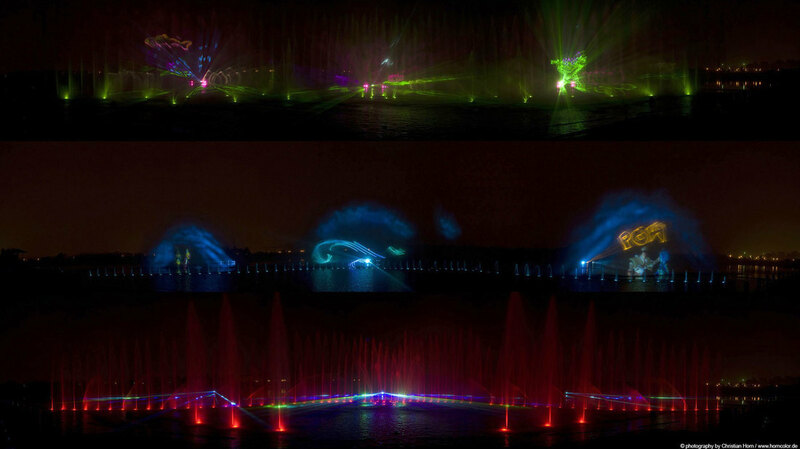 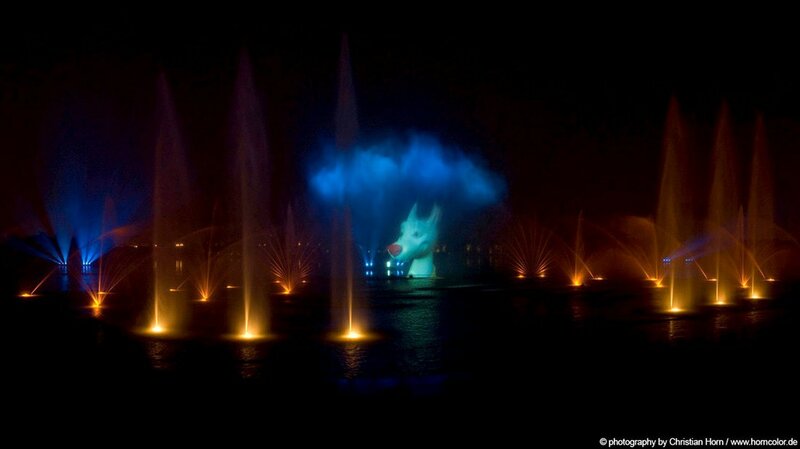 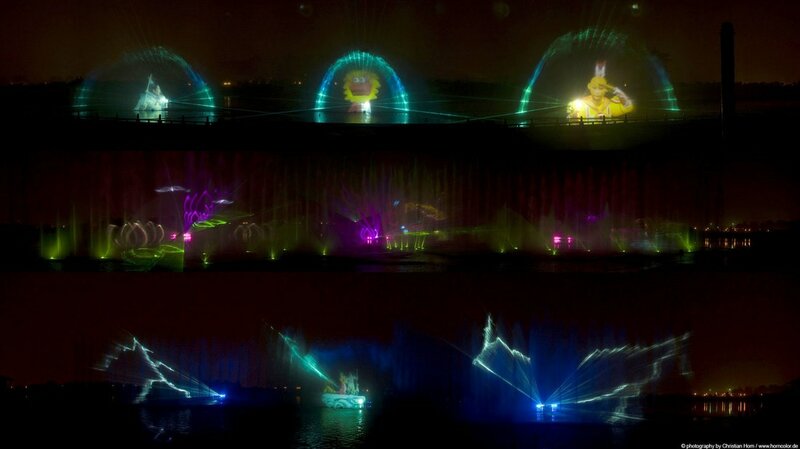 The infrastructure included three fake islands constructed in the lake, each housing video projectors, lasers, lighting and control rooms for the hundreds of submerged water jets and lights. As well as the lighting in these island bunkers and around the lake, all of the underwater lights and water jets were choreographed by Theo. 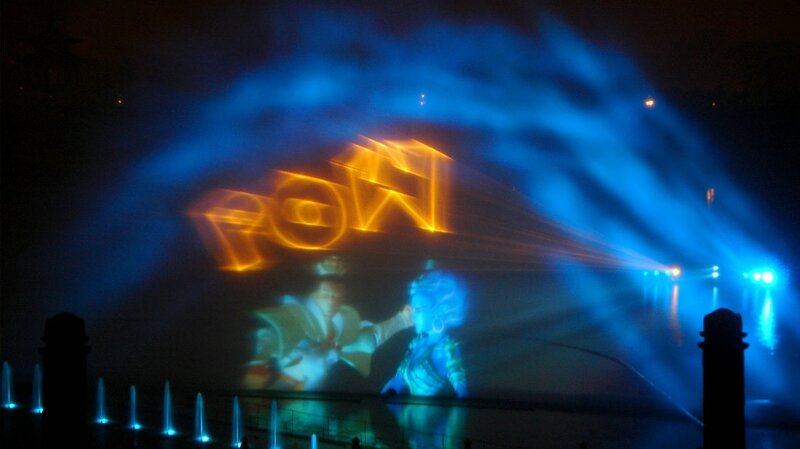 A large (20m) water screen in front of each island served as the projection surface for the main narrative in these fully integrated multi-media shows.